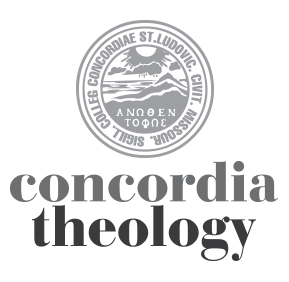 To continue from Part 1…here are more writings by past and present Concordia Seminary colleagues on issues related to suffering, the Bible, and preaching, in connection with the Winter 2011 Concordia Journal and the Seminary’s partnership with Lutheran World Relief. If there are thoughts you’d like to share related to these topics, comment below, or email us at cj@csl.edu. The Old Testament is chock-full of national and individual laments. The Book of Lamentations is arguably the principle example of the lament genre. It is a deeply emotional book and openly acknowledges the presence of weeping (1:7), groaning (1:8), and grief (2:11). Community laments in the Psalter include Psalms 44, 60, 74, 79, 80, 83, and 80. Prophets employ this genre in, for example, Isaiah 63, Jeremiah 14, and Habakkuk 1. Of course, far more extensive in the Old Testament are the individual laments. Some texts that are representative of this genre are Psalms 22, 31, 42-43, 73, 77, 88,109, and 130. Other examples of individual laments include most of the book of Job and Jeremiah 11,15,17-18, and 20. These laments demonstrate that Israel eschewed—with a passion—a plastic and pretentious faith. The nation resisted safe categories and instead affirmed that suffering is real and significant. Although their language of lament can be shocking and sometimes even offensive to us (cf. Jer. 13:22-17; Psalm 137), it nonetheless pulsates with authenticity and transparency. By means of these laments Israel’s public worship provided people with a venue to grieve their losses. As a direct consequence, the nation was empowered to face displacement and national humiliation and eventually move on. First Israel and then the church has placed these texts into our hands in order to correct any euphoric and celebratory notions of faith which we may harbor that romantically portray the Christian life as consisting only of sweetness and light. The texts are in our canon so that we avoid a one-sided, happiness-only view that fails to deal forthrightly with the harsh realities of life. If we lose these laments—either by neglect or ignorance—we will in turn lose Yahweh’s gracious gifts of comfort, guidance, and healing. But the sad fact is that Israel’s language of lament is largely absent from life in the middle-class church in the United States. That is to say, worship often construes the Christian faith in the “major key” with melodies that are symmetrical, congruent, and primarily geared toward peace and equilibrium. In fact, in some corners of the church liturgies and homilies do everything they can to avoid texts of lament. Broken people who attend such churches arrive at this unavoidable conclusion: sorrow and lament belong somewhere else, anywhere else, but not in the church. By divorcing ourselves from Israel’s texts of lament, ironically our worship services may become geared for the well and not the sick, for the whole and not the broken (cf. Matt. 9:12-13). This is strikingly anti-evangelical. It not only misses opportunities for healing and compassion, but also refuses a hand of solidarity toward those experiencing divorce, unemployment, poverty, racism, or death. This disparity—between Israel’s texts of lament and our ecclesiastical culture—could be driving people away from our churches. Many are crying out for an expression of the Christian faith that is honest, transparent, and real. Whether they know it or not, these people are longing for texts of lament. Human emotions are like a river that flows out of the heart. This river needs a “bank” so that our feelings take on depth and direction. Apart from Israel’s laments we are left only with our culture’s shallow expressions of loss and are then stuck in meandering sorrow. But with these texts we have categories and expressions that allow our brokenness to come before Yahweh’s healing throne of grace. Through a renewed appreciation and use of Israel’s laments we will become communities where weeping is allowed to endure for the long nights of life, while also affirming that joy will come in the morning-all because of the first Easter morning when our Lord’s own lament was turned into a song of everlasting deliverance (cf. Ps. 22:1, 24). This passage comes from the mouth of “the man who has seen affliction” (3:1). Chapters 1-2 tell of the affliction of God’s people. The man’s affliction comes to expression in the congregation in the language of the liturgy, in solidarity with God’s people. After the account of God’s wrath upon their sin without excuses (1:18), the man who speaks for them, who have been wiped out, tells of a new source and foundation which is, which always has been, in God: steadfast love, mercies, faithfulness—from God as He has done and promised for those who have no other ground of hope. To the Levites who received none of the land He said, “I am your portion and your inheritance among the people of Israel” (Num. 18:20; Ps. 16:5; 73:26). When everything is lost they are all raised to this, or rather grounded in the same confidence that holds whether they have land or no land (v. 24). Our text goes beyond the relief that a man may have in telling his trouble, beyond the dubious comfort of being told that others have suffered the same or even much worse. Whatever worth there may be in this, it falls short of the ultimate solidarity of our being together before the Lord. Here it is not a matter of getting each one to talk, but to be silent together. In the silence before God there is no place for playing games with our troubles or with God. It is with Him that we have to do; it is He that does with us. There is nothing we can interpose to shield ourselves from Him. If there is any hope for us, it can only come from Him (v. 29). What holds, what is for sure, can only be what holds in God. There is that in God which does not last, or which He would have not last: His casting us off for ever, His causing us grief (vv. 3If.). There may be no dealing with grief which stops short of God, short of receiving it from Him, and letting Him be right in all He does, even to His wrath upon our rebellion against His Word (1:18). No argument or talking back. There is nothing and nobody we can hold against Him: “alone in silence,” before God (Ps. 37:7; 46:10; 27:14). Yet there is one: “the man who has seen affliction,” who says and suffers what we have to suffer, the One on whom God laid it all, namely Jesus. “Stricken, smitten by God, and afflicted” (Is. 53:4-12). The compassion and steadfast love with which our text ends, with which our text began, are what holds in God through it all. Hope is in God, and faith holds God to what holds in Him, compassion and steadfast love, rock-bottom sure, as sure as Calvary (John 10:27-30; 14-15). This brings our lamentations to silence. And so to the Epistle [in this case, 1 Peter 2:4-10 in the LW one-year lectionary —Ed.] and Luke 5:5. “Break the teeth in their mouth, O God!” (Ps. 58:6). “The righteous will be glad when…they bathe their feet in the blood of the wicked” (Ps. 58:10). “Blessed is he…who seizes your infants and dashes them against the rocks” (Ps. 137:8b-9). How did such barbaric words make their way into the prayer book of God’s people? Are these texts really part of the same tradition that admonishes the faithful to “love your enemies” (Matt. 5:44), “turn the other cheek” (Luke 6:29), “walk the extra mile” (Matt. 5:41), and “bless, and do not curse” (Rom. 12:14)? The sentiments of broken teeth, bloody baths, and baby bashing are not confined to a few psalms, in fact thirty-two of them fall under the ominous title, “imprecatory.” They are often categorized into these three groups: imprecations against societal enemies (58,94), imprecations against national enemies (68, 74, 79, 83,129,137), and imprecations against personal enemies (5,6, 7,9,10,17,28,31, 35,40,52, 54, 55,56, 59,69, 70, 71, 104,109,139,140,141,143). It is one thing for someone to pray these prayers, but it is an entirely different matter for the compilers of the Psalter to incorporate them into Israel’s hymn book. Who appointed this Commission on Worship? Or were the doctrinal reviewers taking a nap? Or—horror of horrors—perhaps the editors of the Psalter are telling us that they worshiped a different God from the New Testament and were governed by a pre-Christian ethic! Marcion was right all along! But before we accuse the Old Testament of such atrocities, we have to face the fact that in the first book about the Christian church, and this in its first chapter, Luke records an event when Peter quotes from both Psalms 69 and 109—two of the most notorious of the imprecatory psalms. The apostle goes on to quote from these two psalms with the words that these texts “had to be fulfilled which the Holy Spirit spoke long ago through the mouth of David concerning Judas…” (cf. Acts 1:16, 20; Pss. 69:25; 109:8). Does this mean that the imprecatory psalms—all thirty-two of them— were inspired by the Holy Spirit? How did this state of affairs come about? Yahweh’s vengeance arises out of a cultural milieu in which cursing was an integral part of life. Ancient Near Eastern texts are filled with treaty curses, inscriptional curses, and incantations to undo curses. Often these blessings and curses were employed to ensure a vassal’s loyalty to his sovereign. While the sovereign played an important role in either bestowing favor or calling down curses upon his subject, most of these texts indicate that it was the god’s duty to execute either blessing or curse. And it is out of this understanding that the imprecatory psalms are prayed. When psalmists call down curses, it is because enemies have been disloyal to Yahweh’s covenant. As a consequence, the covenant breaker deserves Yahweh’s covenant curses. So when Israel’s God enacts vengeance, “his sword is all blood, it is gorged with fat” (Is. 34:6), but this is because he is “contending for Zion” (Is. 34:8). Without vengeance upon Israel’s enemies there can be no salvation for Israel (cf. Is. 35:4). Paul makes it clear in Galatians 3:29 that the baptized “belong to Abraham’s seed, [and are thus] heirs according to the promise.” As heirs of Abraham through Christ we are heirs of Yahweh’s promises of blessing and cursing. It should not surprise us, therefore, that the theology of imprecation appears in many places in the New Testament (cf. e.g., Acts 8:20; 13:10-11; 1 Cor. 16:22; Gal. 5:12; 2 Tim. 4:14; Rev. 6:9-11; 14:19-20; 18:4-8, 20; 19:1-3,15). The classic example comes in Galatians 1:8-9 when the apostle invokes an άνάθεμα upon the enemies of the Gospel. The word άνάθεμα is lexically and theologically equivalent to the Hebrew word הרם which appears in Israel’s holy war texts and means utter annihilation. Standing in the same tradition, Jesus also uttered prayers of imprecation upon his enemies (e.g., Matt. 11:20-24; 23:13-39; Mark 11:14). To be sure, love and forgiveness are the Church’s opus proprium or major key. But what has happened to her opus alienum or minor key? Just look at any Christian hymnal that includes psalms and see how many of them are imprecatory. And this is not just a theological observation; it is a pastoral one as well. The baptized continue to be victims of violent and unthinkable acts of hatred. There are countless Christians—even in the West—who are suffering horrific atrocities. Pastors who minister to those facing sustained injustice, hardened enmity, and gross oppression must teach the baptized to pray imprecatory psalms. They are God’s gift so that sufferers are able to hold fast to their human dignity while at the same time endure hardship nonviolently. Luther puts it this way: “We should pray that our enemies be converted and become our friends and, if not, that their doing and designing be bound to fail and have no success and that their persons perish rather than the Gospel and the kingdom of Christ” (Luther’s Works, vol. 21, The Sermon on the Mount and the Magnificat, eds. Jaroslav Pelikan and A.T.W. Steinhaeuser [St. Louis: Concordia, 1956], 1000). A war is going on, and it is a war of opposing powers with eternal consequences. In this war the baptized experience casualties, traitors, and triumphs. Our weapon is the “sword of the Spirit, which is the Word of God” (Eph. 6:17), and this weapon is not one of sweet passivity, but of life and death. It is a weapon that includes both “the kindness and the severity of God” (Rom. 11:22). In times of acute and ongoing distress we must invoke the severity of God as expressed in the imprecatory psalms. It is our way of coming before the Lord and throwing the sword to Him, for “the battle belongs to the LORD” (1 Sam. 17:47).